Contact Us Today And Let Us Make Your Life Easier! Revenue & Yield Mngmt All websites do have costs that are mostly caused by creation of content and making them available online. This is why publishers come to us in order to be profitable. Learn more! Campaign Management We know how to properly manage your campaigns and how to best optimize. 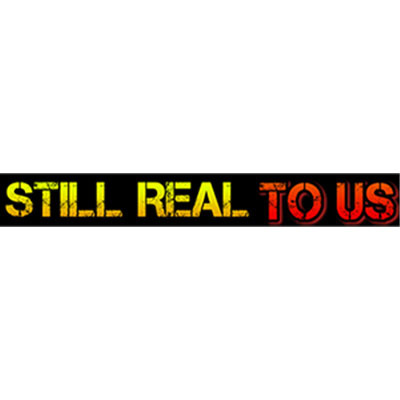 We here at Still Real To Us started this website because we’re huge wrestling fans. We’ve been watching wrestling for many years now and just wanted a place where we could go and write about it any time we wanted. Let it be known that we are not affiliated with WWE, TNA, ROH or any other professional wrestling organization, we are simply fans who like to talk wrestling. Yourbackupemployee has made online advertising possible for our company and clients, they are a one stop shop....they configured and implemented all the platforms (tracking tools, ad servers, videos e.t.c) on our site, set up our campaigns, managed, reported and provided on-going support including training our in house teams. We will continue using Yourbackupemployee services for as long as possible! Rodrigo Suarez – We now have a presence online! As a busy online firm, we needed a greater presence in the social media world and a website that reflected this. Social media presence is so much more than having a company Facebook page or a Twitter account. Yourbackupemployee helped us to integrate all the current tools and helped us make social media a daily habit. Our website is a natural extension of our social media presence. We couldn’t be more pleased with Yourbackupemployee’s services at our company. Michael Hortons – Top notch SEM service! We had few initial meetings with them in person and then they started working with us and over the six months of time they have increased our Conversion rate from 3.73% to 24.38%. We were impressed by the ability of the Yourbackupemployee team to understand our business and implemented a strategy that gave us decent results. "Since 2014 Yourbackupemployee has been our valued partner, delivering significant revenues on our remnant inventory. The team is easy to work with and is very good at what they do technically, creatively, and analytically. We look forward to further growing our revenue with them over the coming years." Fredrick Chris – SEO Magicians for sure! Yourbackupemployee SEO have been a fantastic asset to our online marketing strategy. Over a few years of poorly managed SEO, Yourbackupemployee were able to come on-board and turn our website ranking around. Great reporting processes and contact from our campaign manager and outreach team. We will continue to use the services of Yourbackupemployee for many years to come! James Gregory – A Safe Heaven! We needed reliable outsourced services when restructuring our company and Yourbackupemployee was the right solution! It was a match made in heaven, we would have not survived the whole restructuring without Yourbackupemployee ad operations services! Reliable Professionals For Your Company At Desperate Times! Build your business. Cut hiring costs. Get the right talent. Grow your career. Get through tough times.